Nafplio-like. Mediterranean. In the midst of the city. We are located in a pedestrian area a few steps from the port, yet quiet and peaceful! 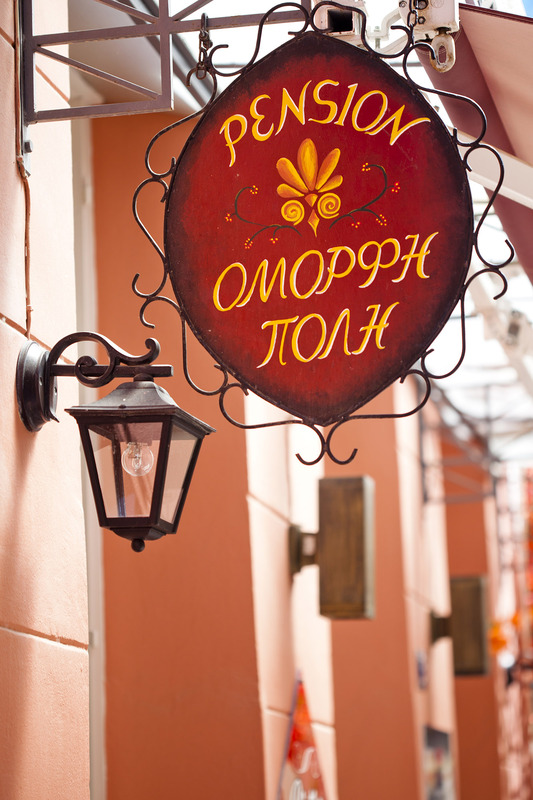 The central location of Pension Omorfi Poli in the heart of the historical old town is your benefit! This is the ideal starting point for your stroll around the old town, your shopping tour or simply to enjoy the comfort and coziness of beautiful Nafplio city. You can reach the world-renowned sightseeing spots, the various Museums, Arvanitia beach and the entrance to the stairs to the famous Palamidi castle comfortably on foot. Bus station and taxis can be found just a few minutes from the hotel. Whereas you can park your car just down the street on the big public parking lot for free.